Partnering with Athleta in Portland! I’ve long been a fan of Athleta. In fact, their purple puffy coat has been on every mountain summit with me. But, it’s not just the clothes. I find their catalogs to be incredibly inspiring. The models look like they actually work play hard to be fit and toned. Plus, they aren’t wearing tons of make-up, striking ridiculous poses or in settings inconsistent with the gear. Being such a fan girl, it’s especially thrilling to be partnering with them for talks at the Portland store. I’ll be talking about how to overcome different hurdles to reaching your resolutions at each presentation. If you’re in Portland, I’d love to see you there! It all starts here. If you don’t have the right resolution, you’ll never keep it. Learn how to choose what you really want, and get the juice to get there. You really want your resolution, but you find it hard to fit into your busy schedule. Learn how to make your resolution a part of your regular routine, and get the support you need. Please pass this invitation along to your friends and family in Portland! 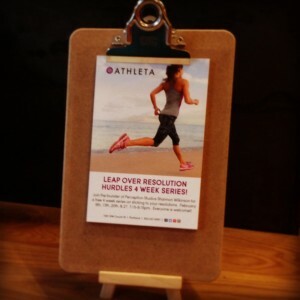 Photo: It was so exciting to see a stack of announcements at the register in the Portland Athleta Store! 2 comments to Partnering with Athleta in Portland! I would really like to attend these sessions. Laura Steffen sent me the information. Fantastic Theresa! The first one is this Thursday, starting at 7:15pm. 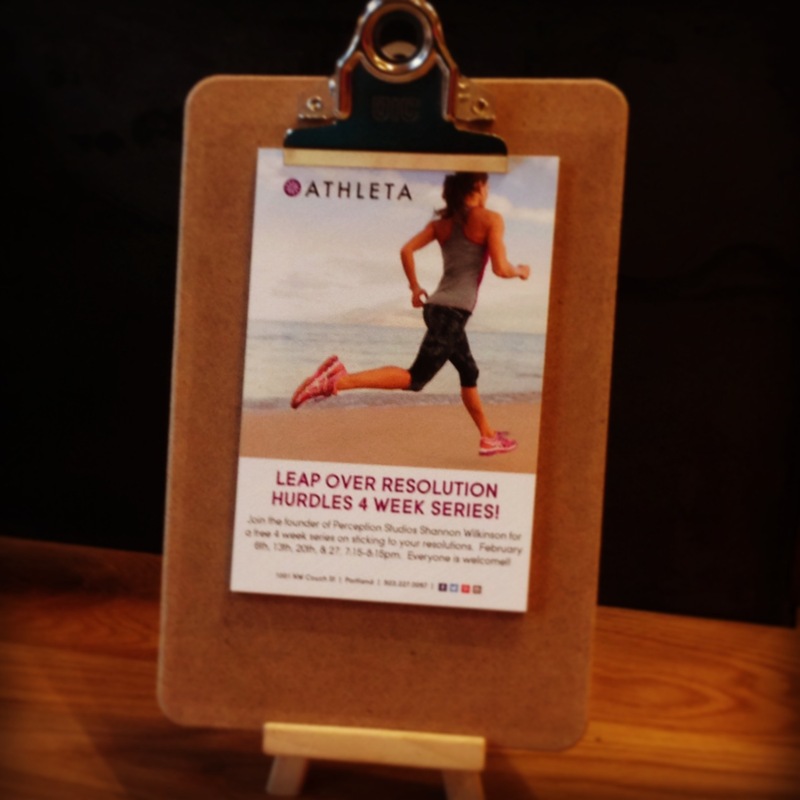 You can sign up with Athleta by calling 503-227-0067, or simply show up on Thursday. Looking forward to seeing you there!